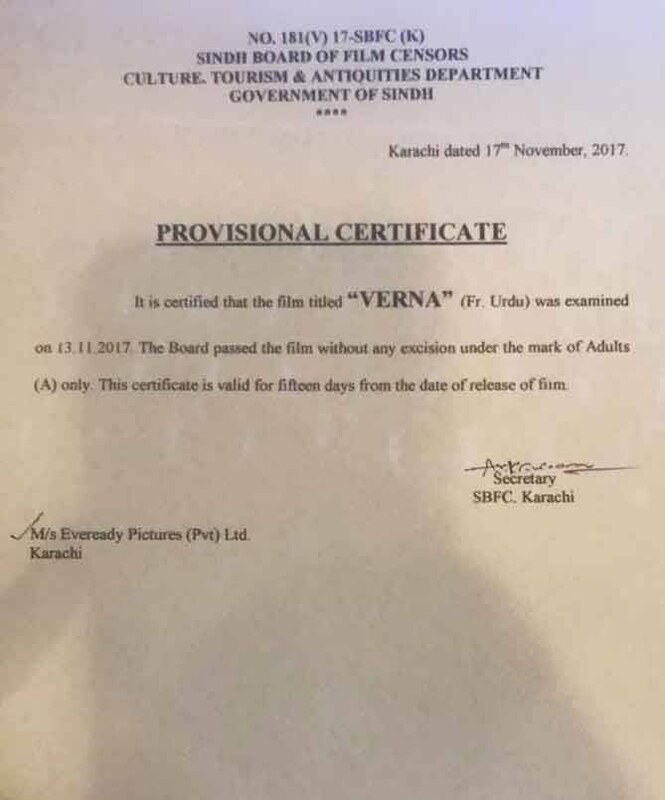 After a long challenge at the censors, Shoaib Mansoor’s Verna is liberating in Pakistan without the slices to the film. Central Plank of Film Censors Chairman Mubashir Hasan verified to Images that the CBFC has passed Verna “without any cuts or mutes”. He said, “It really is established that film Verna has been announced suitable and fit for general population exhibition. CBFC has given censor certificate to the producer. Relating to Hum Films’ PR representatives, the film will screen in Sindh, Islamabad and cantonment areas across the country, but awaits a No Objection Qualification in Punjab. Director Shoaib Mansoor himself also established to Images that the film is launching uncut in the above-mentioned areas. Hum Motion pictures’ PR team proved that the film is launching internationally on routine. Update: THE INFO Ministry has cleared Verna for a countrywide release without any cuts. Previously, the CBFC was said to have forbidden Verna credited to ‘unanimous objections’ elevated by a -panel of CBFC on the film.